Zachary M. Berl - Gonser and Gonser, P.A. Zachary M. Berl is a native Delawarean and graduated from Middletown High School in 2002. Thereafter, Zach received a Bachelor of Arts in Criminal Justice from the University of Delaware and a Juris Doctor from Widener University School of Law (now the Delaware Law School). While in law school, Zach interned with the Delaware Department of Justice where he assisted the Domestic Violence Unit with the prosecution of cases in the Family Court. Prior to joining Gonser and Gonser, P.A., Zach served as a judicial law clerk in the Sussex County Family Court for three years. Zach currently practices in the areas of family law (divorce, custody, property division, alimony, child support, expungements, petitions for protection from abuse, guardianships, dependency/neglect proceedings, and more) and criminal law (including juvenile delinquency proceedings). Zach also volunteers for the Office of the Child Advocate. 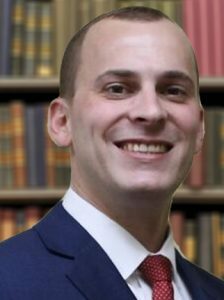 Zach is admitted to practice before all courts in the State of Delaware, and he is a member of the American Bar Association, Delaware Bar Association, and Terry Carey American Inn of Court. Criminal law (including juvenile delinquency proceedings).